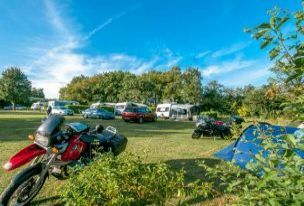 Discounted rates available for stays over 14 nights, please ask for details. Arrivals are not allowed before 14:00 and departure time is by 11:00, outside these times we reserve the right to charge pro rata. All of the mobile rentals have duvets and pillows and covers. A functional kitchen with utensils including gas hob, oven,fridge/freezer, kettle, pots, pans, crockery, cutlery and glasses. There is also a television which is for the use of playing DVDs only. We supply all bedding, we charge extra for towels. However, you may bring your own pillow cases, sheets, duvet covers, towels, etc but please let us know when booking. 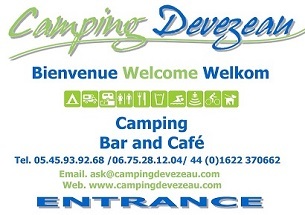 A security, inventory & cleaning deposit of €50 must be paid in CASH upon arrival, joint arrival inspection of your holiday mobile will be carried out with the principle hirer and a representative of Camping Devezeau, the deposit will be returned on day of departure subject to departure inspection with the principle hirer and a representative of Camping Devezeau any discrepancies will be deducted from the returned deposit. i.e. Damage, Loss, Cleanliness and Breakages.